This entry was posted in Development, English, Rants, Software and tagged api, code, development, fun, openssl, rant, software, tableflip on 2019-03-13 by Rainer Müller. 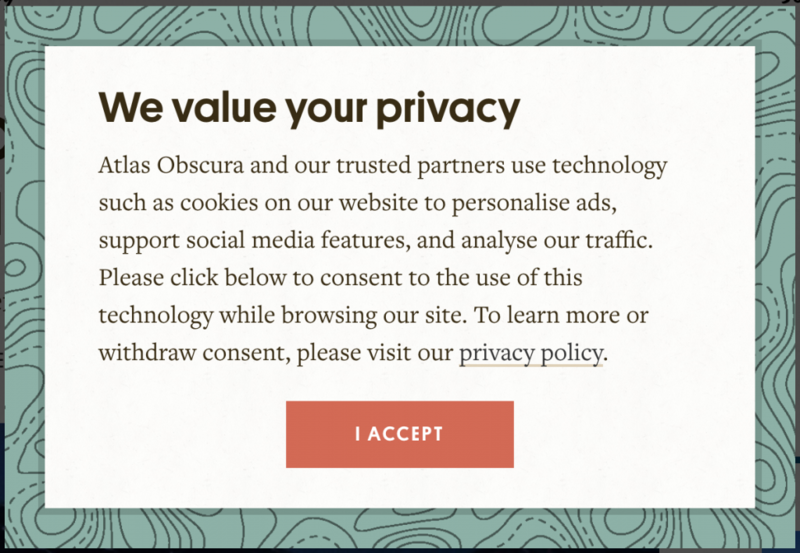 Everybody knows these modal dialogs when visiting a website for the first time that ask you to accept cookies and consent to being tracked by third-party advertising networks. It actually became a habit for me to always click through these things and reject any kind of tracking or use of my personal information except for the “required” cookies.